The ECOBRUSH is the star of the salons in the world, combines high technology and performance, aligning the hair strands and reduces the volume without damaging them. Contains Macadamia oil, responsible for the nutrition of hair shafts, making them stronger and hydrated, keeping a silky, soft and controlled volume aspect, a paraben-free formula, aldehydes and harsh relaxants, does not harm the health of wires and does not harm the environment. A ECOBRUSH é a estrela dos salões em todo o mundo, alia alta tecnologia e performance, alinhando os fios e reduzindo o volume sem agredi-los. Contém óleo de Macadâmia, responsável pela nutrição dos fios, deixando-os mais fortes e hidratados, mantendo um aspecto mais sedoso, macio e com volume controlado. Sua fórmula livre de parabenos, aldeídos e relaxantes agressivos, não agride a saúde dos fios e não causa danos ao meio ambiente. 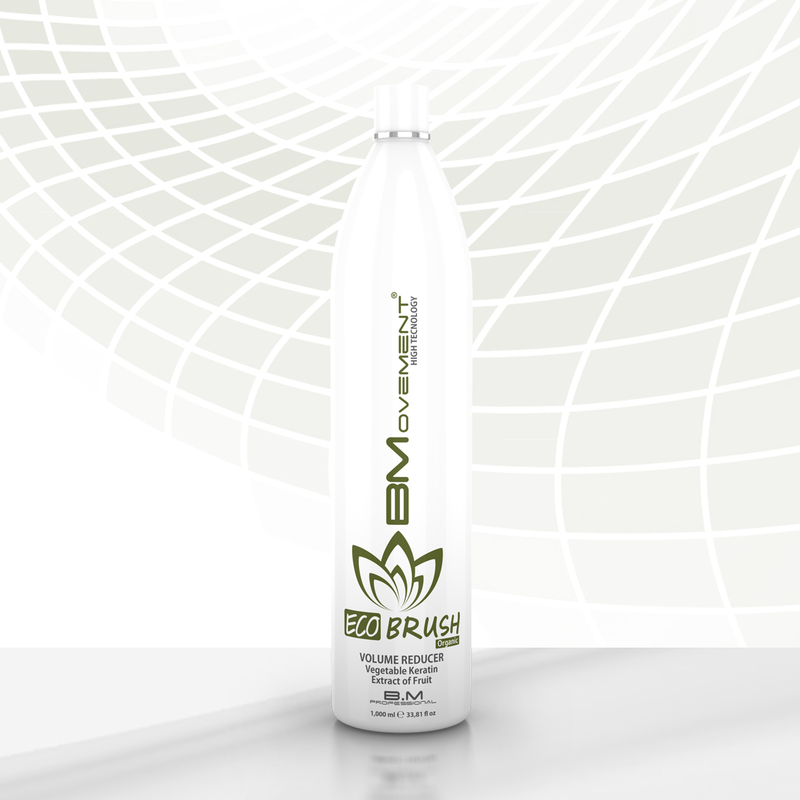 Directions: On dry hair, apply the ECOBRUSH with the help of brush. Avoid touching the scalp. Spread the product evenly to the ends. If necessary, use a comb gently for a better distribution. Let it sit for 40 minutes and removes 80% of hair product with water only and dry with the help of a blow dryer. Brush well. Use a flat iron with maximum temperature of 450F ° / 190C ° (Always apply a heat shield before use the flat iron) into thin strands. Do it slowly until the hair is completely dry, aligned and shiny. Modo de uso: Com os cabelos secos aplique a ECOBRUSH com o auxílio de um pincel. Evite encostar no couro cabeludo. Distribua uniformemente até as pontas. Se necessário, utilize um pente delicadamente para uma melhor distribuição. Deixe agir por 40 minutos e retire 80% do produto do cabelo somente com água e seque os cabelos com a ajuda de um secador. Escove bem. Utilize uma prancha com temperatura máxima de 450F°/230C° (Sempre aplique um protetor térmico antes de pranchar os fios) em mechas finas. Proceda lentamente até que o cabelo esteja totalmente seco, alinhado e com brilho. Composition: Water (Aqua), Cetearyl Alcohol, Isopropyl Palmitate, Paraffinum Liquidum, Cetrimonium Chloride, Petrolatum, Propylene Glycol, Cyclopentasiloxane, Dimethiconol, Polyquaternium 37, Propylene Glycol Dicaprate Dicaprylate, PPG-1 Trideceth-6, Glycerin, Glyceryl Stearate, Glyoxylic Acid, Fragaria Vesca Fruit Extract, Rubus Idaeus Fruit Extract, Morus Nigra Fruit Extract, Methylchloroisothiazolinone, Methylisothiazolinone, Fragrance (Parfum), Amyl Cinnamal, CI 42090, Amylcinnamyl Alcohol, Benzyl Benzoate, Butylphenyl Methylpropional, Citronellol, Eugenol, Limonene.